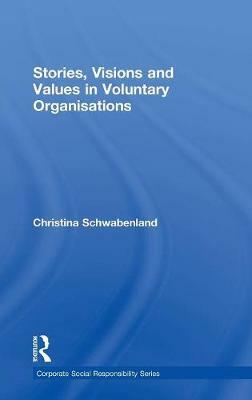 Christina Schwabenland's book is based on extensive research into stories told by people working in voluntary organizations in the UK and in India. With a view to social change, the author employs hermeneutic methods to explore how stories create and sustain meaning and how storytelling contributes to the making and remaking of our social world. Specific topics addressed in the book include the role of storytelling in starting a new organization, managing hope and despair, empowering participatory leadership, and stimulating creativity and innovation. The book will be of interest to theorists and practitioners interested in the role of storytelling in organizational analysis, the role of organizations in achieving social change, the growing centrality of the voluntary sector in public policy, and the intersection between the corporate, public and voluntary sectors.